Children living in conflict zones around the world have come under attack at a "shocking scale" in 2017, the United Nations children's agency has warned. In a statement, Unicef said parties to conflicts were "blatantly disregarding" international laws designed to protect the most vulnerable, with children used as human shields, killed, injured and recruited to fight. “Children are being targeted and exposed to attacks and brutal violence in their homes, schools and playgrounds,” said Manuel Fontaine, Unicef Director of Emergency Programmes. 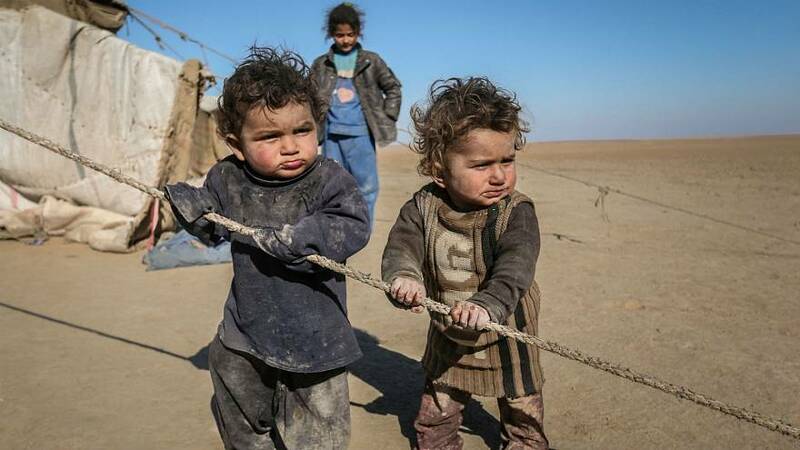 As well as direct attacks, Unicef said millions more children were paying "an indirect price" for conflicts, with issues including malnutrition, disease and trauma. The UN agency cited conflicts in Afghanistan, the Central African Republic, eastern Ukraine and Yemen as among those where children have been victims of conflicts over the course of 2017. According to their figures, in the Democratic Republic of the Congo, violence has driven 850,000 children from their homes and around 350,000 children have suffered severe malnutrition. In Nigeria and Cameroon, Boko Haram has forced at least 135 children to act as suicide bombers. And in Yemen, nearly 1,000 days of fighting has left at least 5,000 children dead or injured and more than 11 million children in need humanitarian assistance. Out of 1.8 million children suffering from malnutrition, 385,000 are severely malnourished and at risk of death if not urgently treated.